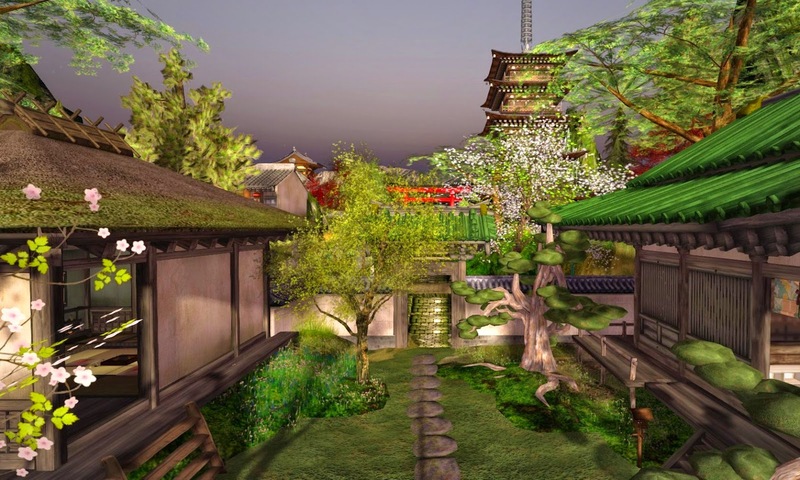 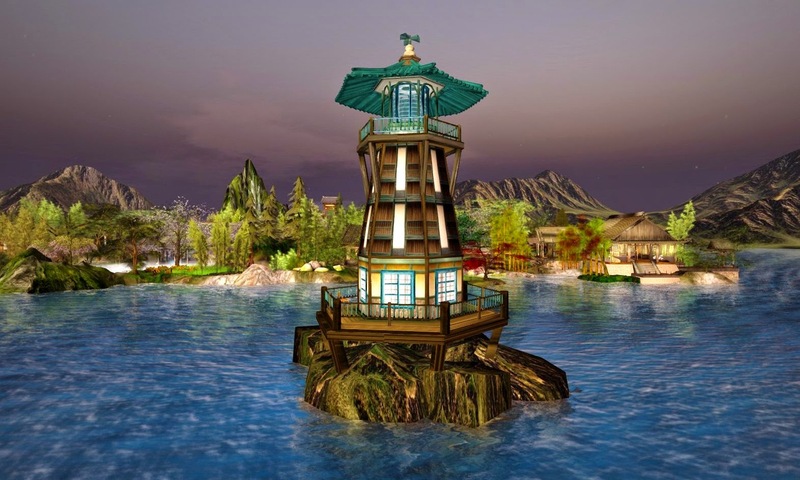 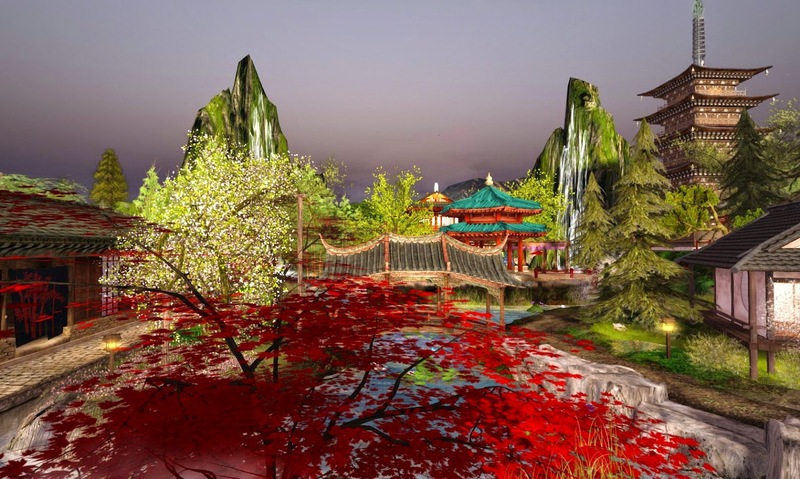 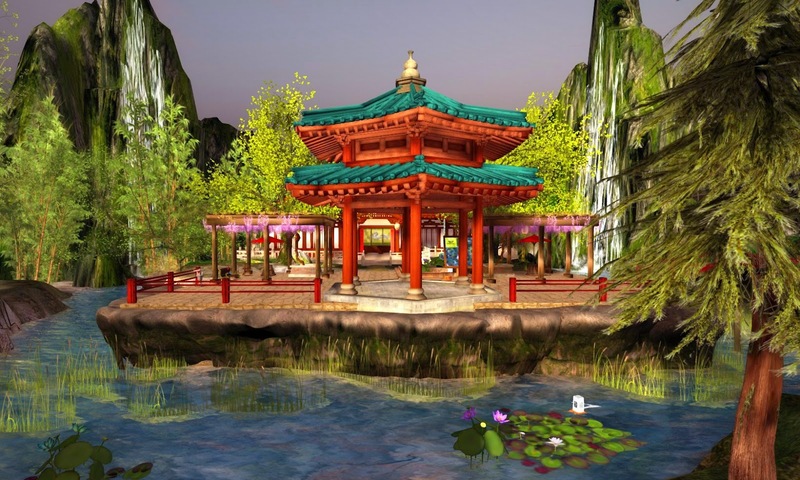 Japanese and other Asian-inspired landscapes offer some of the most realistic and beautiful design in Second Life. 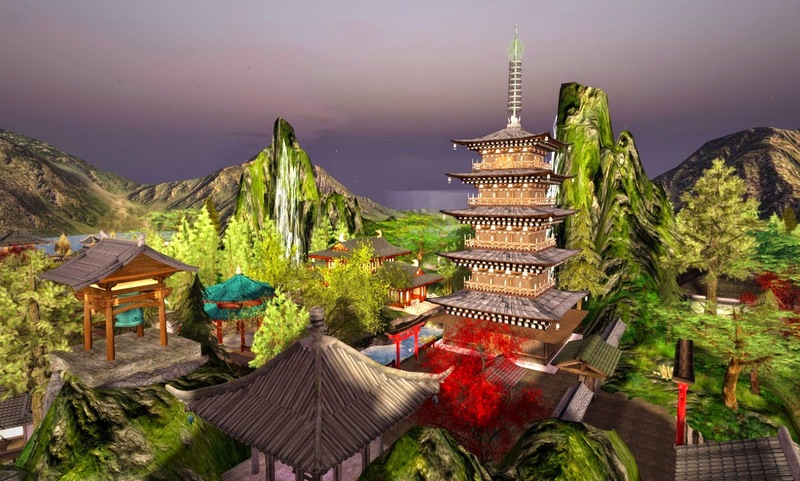 Many landscapes use a mountainous theme to dramatically display architecture and botanic plantings. 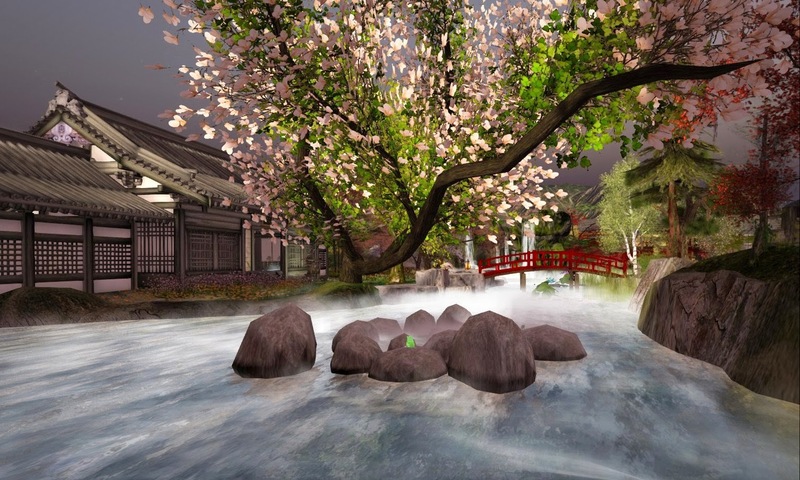 While Keisei is also set in the mountains, it is the interplay your water and light that this region design does so well. 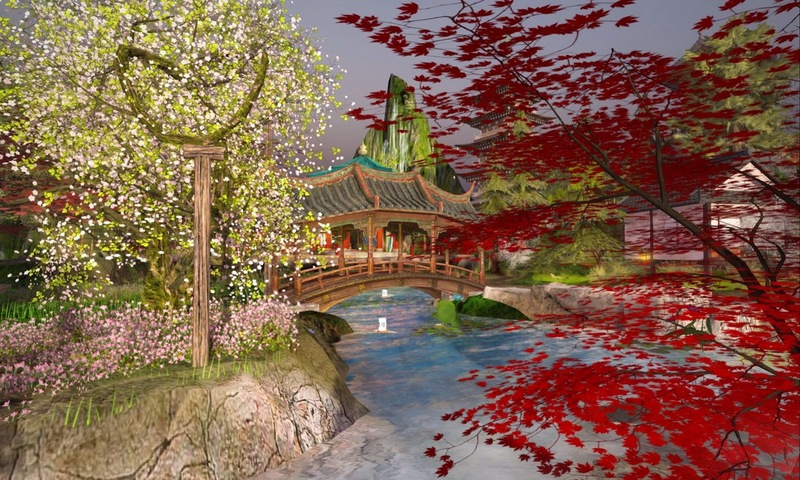 Some of the structures, such as the bridge below reminded me more of more elaborate Chinese designs -- but the rich plantings, and natural design of the region brought Japan more to mind. 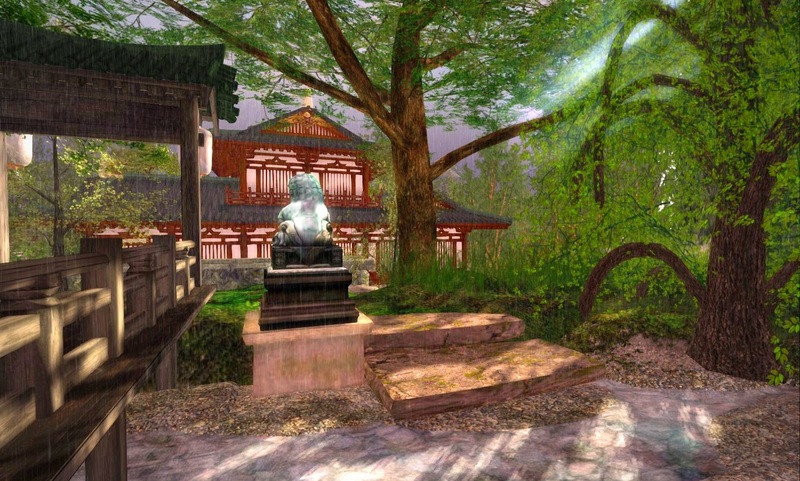 All photography was taken with Windlight Sky Setting Places Wiccan. 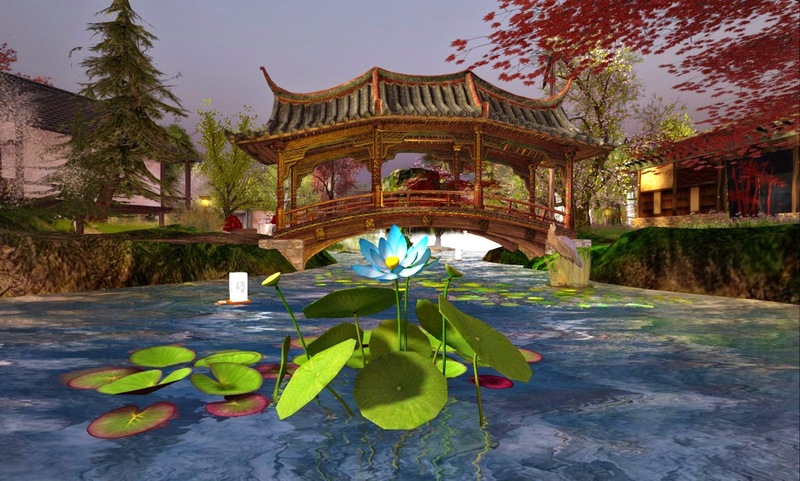 I liked the colors and water reflections that this early evening sky setting highlighted in these images.